Rob Cookson did not take a very conventional path to where he finds himself today — behind the bench as assistant coach of the Ottawa Senators. Without playing high level hockey himself, he started out at a provincial level and soon went to the national level. He won Olympic medals and world championships before he ever tried his hand in the NHL. He was on the frontier of video and learned the development side of the game from a perspective that was unique in the early 1990s. But what remained throughout his career and what opened doors for him was his work ethic and his humility. 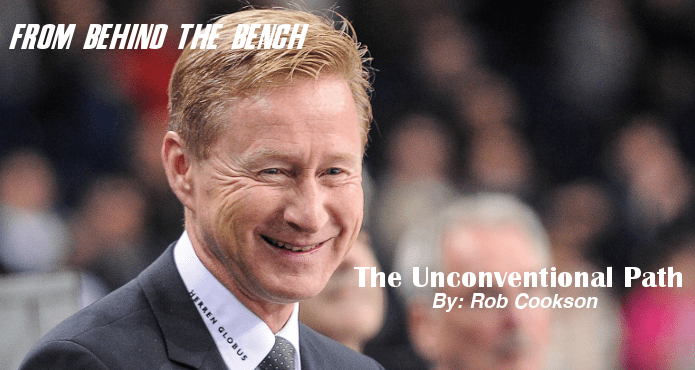 In this edition of FROM BEHIND THE BENCH, Rob walks us through his career and his network, and offers some advice to the budding coaches out there who might never go pro as players. When I came out of university, I got involved with Hockey Alberta as more or less a summer job in the mid 80s, which became a contract job for a year. Around 1991, I ended up taking a job with the BC Amateur Hockey Association. I was involved in their under 17 player development program, which, at that time, was a regional program with the various provincial hockey branches, operating them as part of a program of excellence. I also worked with the coaching program and that’s where I began to meet a lot of really good people in British Columbia. And then I had an opportunity to come back to Alberta in video development through the International Hockey Centre of Excellence, which was a part of Hockey Canada at the time and a separate entity from the Canadian Amateur Hockey Association. It was interesting so I moved back and got involved in building educational videos. At the time, the International Hockey Centre of Excellence didn’t support the national team. But as I progressed in terms of coaching and developing educational material, I got more and more opportunity to work with the national team. I wasn’t involved in the Olympics in 1992 in France, but when they offset the Olympics from the summer and winter to alternate the years, I was involved with Tom Renney in the 1994 Olympics. I supported the coaching staff, did video, got things prepared, that sort of thing. From there, I stayed with Hockey Canada and worked more with the Junior program that went to the World Championships. That was a good situation for me because by that point in time, I was starting to take more of an interest in coaching. The benefits of being involved in video were that I could see what it meant for preparation. In 1998 I worked with Marc Crawford, who I got to know very well, on the national team. After that year, I thought it was time to try and work in the National Hockey League. I think going to Philadelphia was the perfect fit for me because at the time, I not only had the confidence but I was going with people I knew like Wayne Cashman and Roger Neilson. They had made changes to the team, moving Wayne from head coach to assistant coach and making Roger Neilson the head coach. 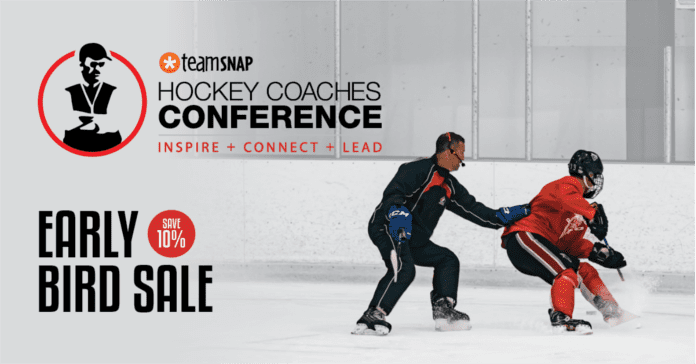 As video coordinator, it gave me a really strong handle on the National Hockey League, and the team helped me get a handle on what was required, what you need to do at that level, in order to succeed. I got let go in 2000 and came back to Calgary. The Flames were moving through a transition year and had hired Don Hay. Don and I had worked together in the 1995 World Junior Championships and we connected and he wanted to have me on his coaching staff. At that point, I felt that in order for me to do my job, I had to have a larger role with respect to being on the ice every day. I needed to work directly with the players and gain their confidence so they could trust that I could make them better. 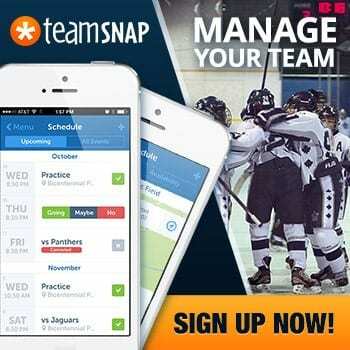 So they hired myself, Brad McCrimmon, and Greg Gilbert as assistant coaches. That lasted a number of years and it was a really good experience. Calgary was my home town and my wife was there so it was a good fit. We went through a number of head coaches from 2000-2011, and I was always able to impress those coaches, they valued what I could do, and I felt I was always a part of a good coaching staff. We had a lot of success, went to the finals in 03-04, then had the lock out the following year, and then in the years after that, we had really successful teams. And then as time goes on in the coaching world, you run your longevity. As always, changes were made. When I was let go, I worked for a year with the University of Calgary, which was a great opportunity to get back in and do more practices. I coached there with Mark Howell and Cory Cross, who I enjoyed working with tremendously. When I was hunting for work at the end of the season, Marc Crawford called me with an opportunity to go to Switzerland, which ended up being for the next four years. It’s a great program and we had great success there. We not only won championships but had success in terms of our personal achievements. Our last year, we got to coach Auston Matthews, which was great exposure for us because he was such a highly sought after draft pick. During our last year there, I got to coach with Guy Boucher at the Spangler Cup, which, over my years with national hockey, I’d never got the opportunity to experience, and we won. Working with Guy was good for me, we got a feel for each other. From there, I was of interest for Guy to hire if he had an opportunity back in North America and so we ended up in Ottawa together, Marc, myself and Guy. Being away for a few years and now back in the National Hockey League, it’s given me a breath of fresh air. It’s given me the motivation to really appreciate the opportunity to work with the best athletes in the world in the game of hockey, and in the best league in the world. I don’t think you get to any level without a certain work ethic and a certain degree of strength in terms of networking. If you are strong at networking, you develop relationships over the years, and then you can call on people. The hockey business is a small family throughout the world and people know each other’s strengths. Everyone respects hard work, strong interpersonal relationships and confidence, those are the cornerstones of any business. I feel fortunate that I’ve been able to meet so many great people along the way. But I really believe that the players are what’s important. My thought process is that every day I strive to make the players better. I don’t think that it’s important that you express how intelligent you are to the players, it’s how much of a relationship you can develop with them. Especially today, the players have more interest in why things are as they are as opposed to just listening and doing. But they also want to know that you’re in their corner. That’s an important cornerstone to my success is making sure the players feel that they can trust me. I feel that my strength is in the interpersonal relationships I have with the players. Once you have their trust, you can make them believe in what they can achieve. I think every coach thinks about how the game should be played, but that needs to evolve as the athletes change. The catchphrase in the National Hockey League seems to be is that it’s a “speed game.” The athletes are faster now, so that changes your philosophy. My foundation in the game really started with Hockey Alberta and the coaching programs, so I got a good philosophical and technical understanding of the game. 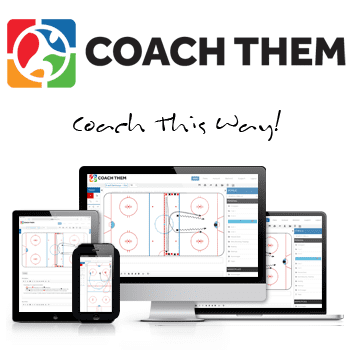 We had people such as Perry Pearn, Dave King, Clare Drake, and Willie Desjardins — they were so motivated as young coaches to get to their next level, and that rubbed off on everybody around them. And that brought a real educational and technical background to the program we were operating. Myself and Ray Bennet, we were really lucky to be immersed in that group of people. When I moved on with Hockey Canada, we built educational videos so we brought in experts in the field. We would put together scripts, design video shoots, and we would talk about things from a developmental perspective. All of that was highly interesting to myself at the time and it gave me a great foundation. When I started in Philadelphia, I believed that I would be able to get the trust of the people I worked with by just working harder than what they would have expected of me in that position. If it required an extra few hours after the game to get things done, that’s what I did. Gradually, the hard work and the willingness to improve was noticed. That kind of work ethic can be a real strong foundation for young people who didn’t necessarily play at a high level as players. You also need the ability to network. I had a great opportunity when I worked for Hockey Canada to meet people on a regular basis, so they got to understand what I was like as a person. The more you get to meet people, the more opportunities you’ll have for jobs down the road. Then, developing an intuition for your team and for your athletes, and that comes with experience. I think of it as the art of coaching. It’s as important or maybe more important than the science or technical side of it, it’s the feel of how your players are doing, and at what point do you back off or apply a little more pressure to have success. Even at the junior and younger level, it’s important to develop your intuition as a coach. And that’s an area where young coaches can really grow to give themselves an edge. As a coach, you’re judged on your wins, but you’re also judged on how well your team plays from a development standpoint. It’s a very fine line. But if you commit to your players every day, your players get better on and off the ice.